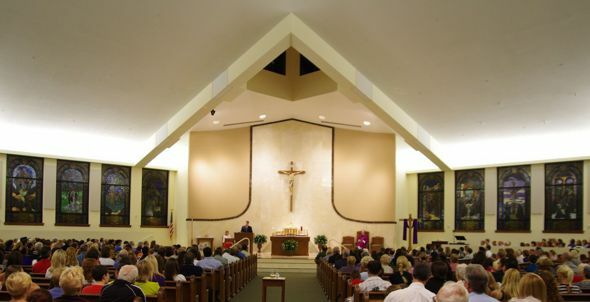 We the parishioners of St. John Parish in Boca Raton, Florida desire to grow in faith and in union with Jesus Christ and one another. We strive to always be a place of welcome and reconciliation. Through worship, prayer, learning and action we seek to respond to the challenges of the Gospel of Jesus Christ. Empowered by the Holy Spirit we will accomplish this mission. True Magnificence, an exciting 28 minute video on the wonder we experience every Sunday. The Diocesan Services Appeal is an opportunity for us to unite with all Catholics in this part of Florida to share our blessings and to show concern for one another. Your gift is important. Please assist Catholic Charities, the ministries and works of vocations, pastoral care, family life, and all the other services carried out by our diocese. Please be as generous as God has been to you. Every gift is important for the success of this appeal. Thank you again for sharing in a way that allows Bishop Barbarito and our Diocese to provide the leadership, vision, and assistance our people need.